Finding what to wear to work everyday can be tasking especially during the summer due to hot/humid temperatures. There are days when you want to wear something easy and simple, but still chic for work. For those days, neutral tones are great options. 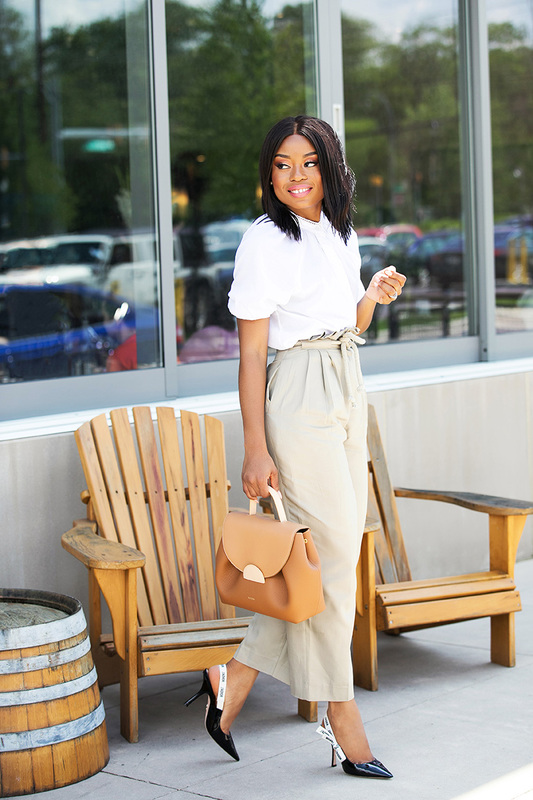 Neutral tones are refreshing color tones to wear for work during spring and summer. Today's look is all about an easy summer work style. Find beige or khaki pants...preferably ankle pants. 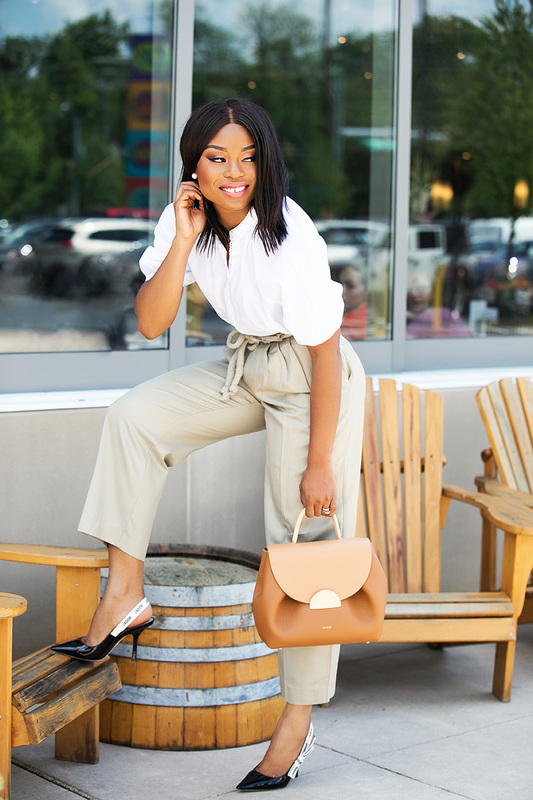 Ankle pants are my go-to for work during the summer season. Compete the look with light and airy summer white blouse. 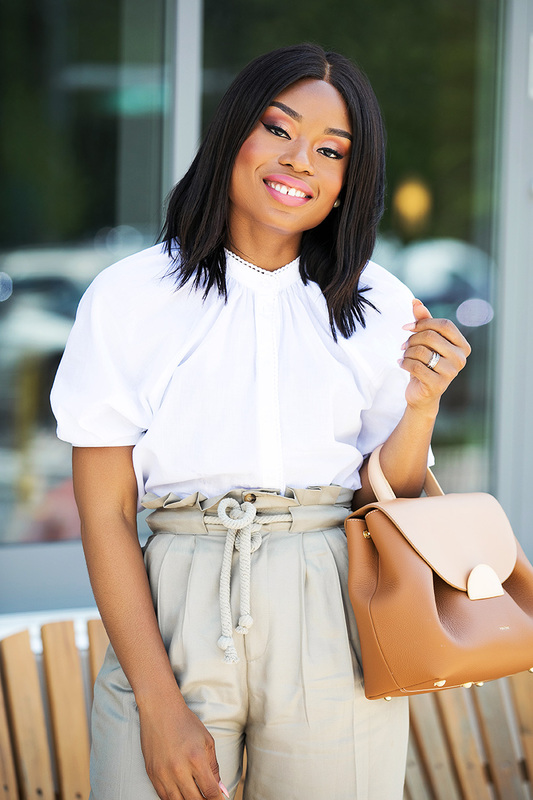 For me, cotton blouses are great to wear during the summer season for work. 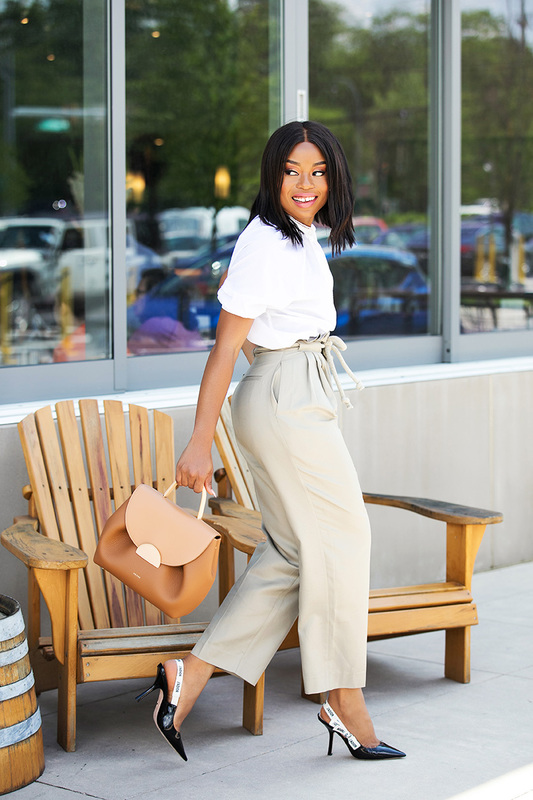 An easy work style for summer should be nothing short of fun and easy! Your Dior pumps are gorgeous! !